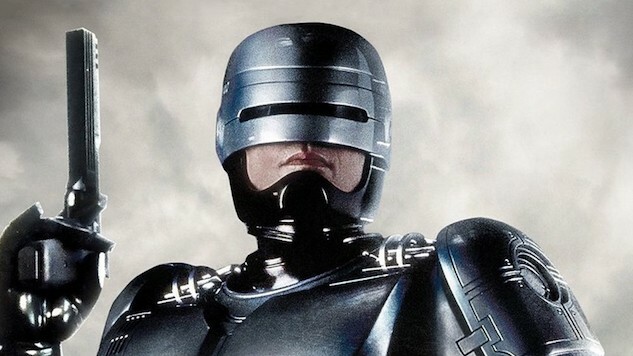 The original Robocop from 1987 is seen by many as the perfect marriage of Jesus Christ allegory and brutal gore-fest. To celebrate the film’s official 30-year anniversary, the classic film will return to theaters for a single night on Sept. 10. Lest you think this is merely an opportunity to see bad guys melt to death on the big screen on more time, Robocop himself will be in attendance: Peter Weller—who portrayed the titular character in the original run of films—will be on-hand at Dallas City Hall where the original film’s OCP Headquarters scenes were shot. After the screening, Weller will participate in a live-streamed Q & A session beamed into each theater showing the film. The session will be presented by Birth.Movies.Death, SYFY Network, and Alamo Drafthouse, according to THR. The event promises to be a fun way to revisit a film that’s just as timely now as it was 30 years ago. It’s not like big corporations have suddenly become more moral or law enforcement less brutal. Who knows, you might actually learn something from this movie if you haven’t seen it already. And, if not, you’ll at least get to see a lot of body parts shot off. Be sure to see which brutal Robocop death made our list of 100 of the most memorable movie deaths, and find ticket info for the film’s 30th anniversary screening here.